Google has made “App Maker”, its low-code tool for building business apps, generally available and open to all developers, after a year and a half since the launch of its beta version. “Today, we’re making App Maker generally available to help you rethink how your teams operate,” Geva Rechav, Product Manager, App Maker, wrote in a blog post late on Thursday. 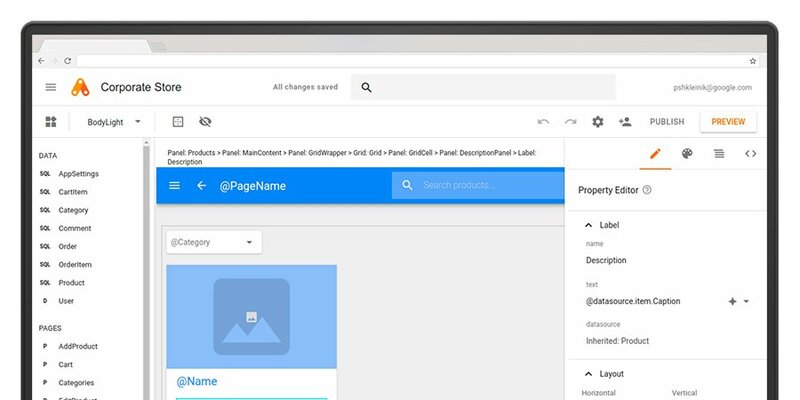 “App Maker is G Suite’s low-code application development environment that makes it easy for teams to build custom apps to speed up workflows and make processes better,” Rechav added. Google first launched the App Maker in November, 2016 and made it available through its “Early Adopter Program for G Suite Business” at that time. It was created with the idea of enabling line-of-business teams to create bigger apps, revamp company processes, resolve help desk tickets and more. The new features include a built-in support for Cloud Structured Query Language (SQL), responsive templates, a drag-and-drop user interface design and declarative data modelling. It would also come with “Expanded OAuth Whitelisting” controls to let administrators prevent apps from running without their approval. In addition, the app building tool would allow developers access to 40 Google services including Gmail, Google Calendar, Sheets and other data sources, Rechav said.